Do You Know What Iowa's 'Move Over' Law Is? | Pothitakis Law Firm, P.C. Do You Know What Iowa’s ‘Move Over’ Law Is? We often see emergency vehicles on the side of the road helping motorists. In case you’ve forgotten, there is a law that requires drivers to change lanes if possible (or slow down if it’s not) when approaching stationary emergency vehicles. Law enforcement officials report many motorists are ignoring this law or aren’t aware of the law that protects the safety of our emergency workers. 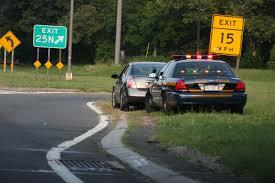 They urge summer travelers to move over and slow down when approaching any vehicle pulled to the side of the road. Starting July 1, 2017 this law will be expanded to include utility trucks, and garbage and recycling trucks that have safety lights flashing. The new Iowa legislation 2017 covers electric, natural gas, water, telephone, cable and certain other businesses and agencies. The fine for breaking the law is $100 plus court costs. In 2016 there were 363 convictions in Iowa for violation this law according to Iowa DOT officials. More importantly is the risk a driver is taking of hurting themselves or others by not following this law. In 2015 there were 52 law enforcement officers killed in traffic-related incidents in the United States. Stay safe this summer and remember to slow down and ‘Move Over’. Call Pothitakis Law Firm if you have questions about your personal injury.